It's understandable that many people think California Beaches are Heaven on Earth. The ocean stretches forever and the white sandy beaches feel excellent beneath bare feet. Come to my world, get to know the Big Sky. We don't have ocean front property, but we have crystal clear lakes, skies open and blue and wildlife that you can't find on the Pacific Shores. Go North and visit Glacier National Park for a sight you can't find anywhere else, or go South for geysers and hot pools like nowhere else on Earth. Drive five miles from any town and you find a river with a calm spot that you can catch record fish. As of 2012, our large state only has a little over one million people. You can find your peace of mind and serenity along a quite riverbank or atop an evergreen covered mountain. Montana has 16 ski resorts, some with lift prices under $36 per day. 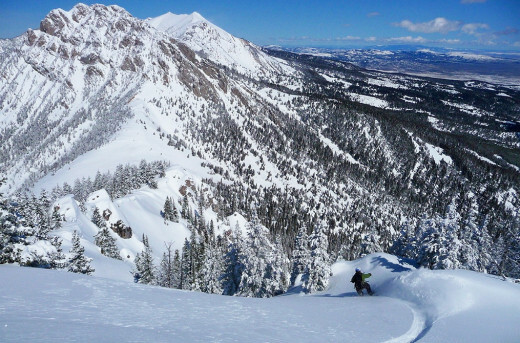 Bridger Bowl - Outside of Bozeman, this ski resort is known as one of the best in North America. They have one quad lift, three triple lifts and three double lifts. There are 71 trails, enough for a whole day of fun. Discovery - Located 23 miles outside of Anaconda, Discovery offers 63 ski trails at the low price of a $40 lift ticket. Big Sky - Interconnected to Moonlight Basin, you can ski 155 trails for the price of one lift ticket. There are over 5,500 acres of land to free roam and enjoy. Big Ski Resort is less than an hour drive from Bozeman. Red Lodge Mountain - An hour south of the city of Billings, Red Lodge Mountain has 73 trails and discounts for students, seniors, military and groups. Check out Ski Montana for more information on all 16 resorts. Montana is home to two of the most beautiful and eyecatching national parks in the world! 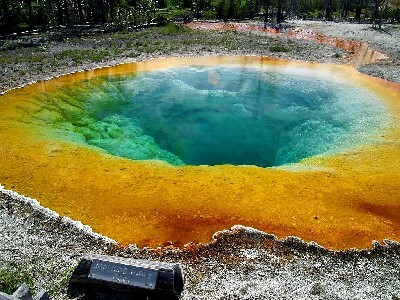 Yellowstone lies in Montana, Wyoming and Idaho. 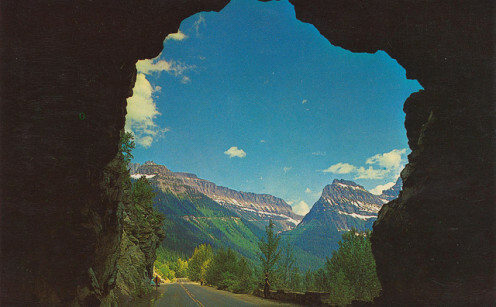 Glacier National Park sits in the Northwest corner of the state, near Whitefish and Kalispell. Yellowstone has more than 10,000 thermal features that have been untouched by humans for more than 130 years ago, before the park opened. There are 2.2 MILLION acres to discover. The park includes geysers, hot pots, waterfalls, lakes, rivers and wildlife. You can see over 60 species of mammals, including grizzly bears, moose, dear, buffalo and wolves. Keep an eye out for more than 200 species of birds. And, don't expect to do it all in one day. There are over 950 miles of trails to hike! 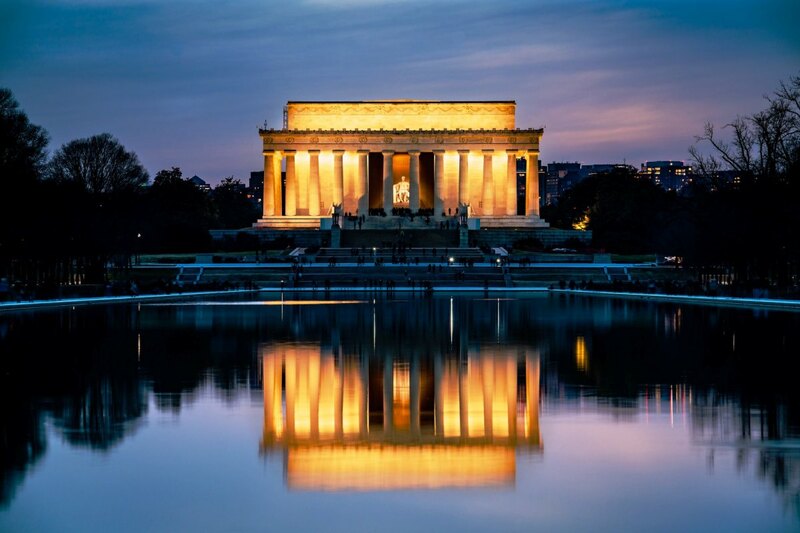 You are going to need a place to stay, and luckily, you can get to the park from numerous towns. Cooke City, Gardiner, Jardine, Silver Gate and West Yellowstone all have hotels and campgrounds for your destination. You can also camp at one of the various campsites inside the park. Lamar Valley - a place to see much of the wildlife the park has to offer. A group of wolves resides in Lamar Valley and can be spotted safely from the road. 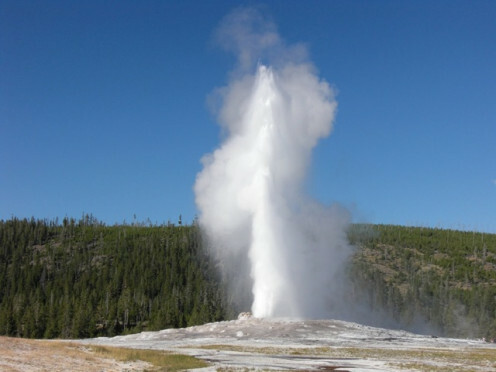 Old Faithful Geyser - Go see the world's most popular geyser erupt. It erupts nearly every hour and a half and can shoot as high as 184 feet into the air. Mammoth Hot Springs - You can see the remains of a 600,000 year old vocanic eruption that left behind terraces of limestone. The terraces are constantly boiling and steaming, a nearly eerie experience. Grand Canyon of Yellowstone - Walk the trails of this phenomenon to see massive waterfalls plummeting 308 feet to a misty depth. Glacier is home to the mountain goats that walk along the thin mountain ledges. You can fly in to the town of Kalispell and rent a car or call for shuttle. Your destination begins here. You can see over 130 lakes, 100 species of wildlife and more than 1,000 species of plants. At some of the lakes there is an option to take a wooden boat tour, some have been operating since 1927! 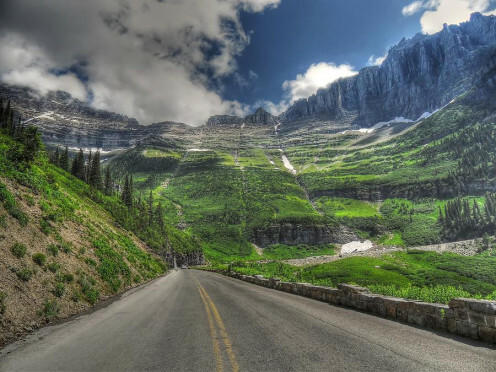 One trip you must make while in Glacier is the Going-to-the-Sun-Road, crossing the Continental Divide on a 50 mile, paved, two lane highway. You can see everything the park has to offer on this drive from the many glaciers, lakes, cedar forests and alpine tundra. 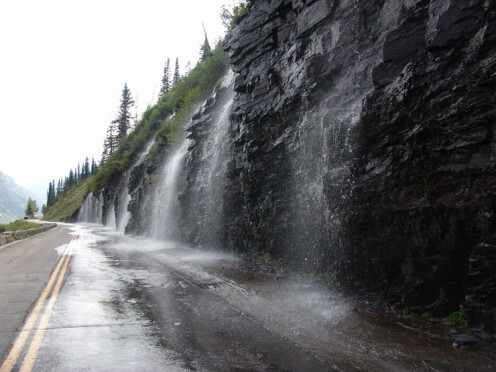 You can start travelling the Going-to-the-Sun-Road in June, and it remains open until early Fall. There are other top destinations you must see while in Glacier. St. Mary Lake - While on the Going-to-the-Sun-Road, pull off to look at this 10 mile long lake. From one turnout you can see the stunning Virginia Falls across the valley. Lake McDonald - The biggest lake in the park, Lake McDonald is 10 miles long and 472 feet deep.You can see bighorn sheep, mountain goats, elk, black bears, white tail dear and mule dear from this location. Iceberg Lake Trail - This trail takes you to the popular viewing point, Ptarmigan Falls and then past the Ptarmigan Wall and to Iceberg Lake. It's a view that can't be seen anywhere else and is a great hike for an afternoon, at 4.8 miles. As an out of state resident you will need to get a permit to fish on any of public water. 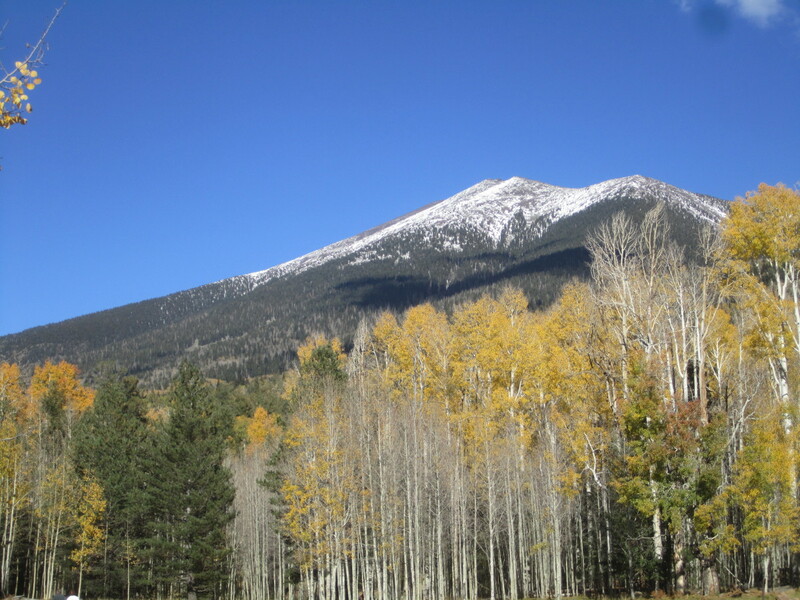 You can download an application online for a nonresident conservation tag, a two day permit, a 10 day permit or a season permit. No matter where you go, what road you travel or trail you walk, you are likely to come across a lake, river or creek. Take advantage of the opportunity and pull out your fishing pole. 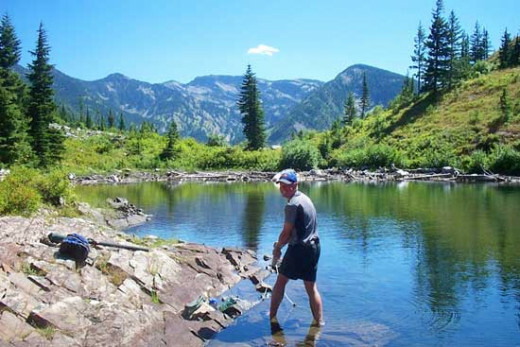 Montana is known for some of the best fly fishing in North America. During your stay in Montana, fish one of the ever popular rivers. 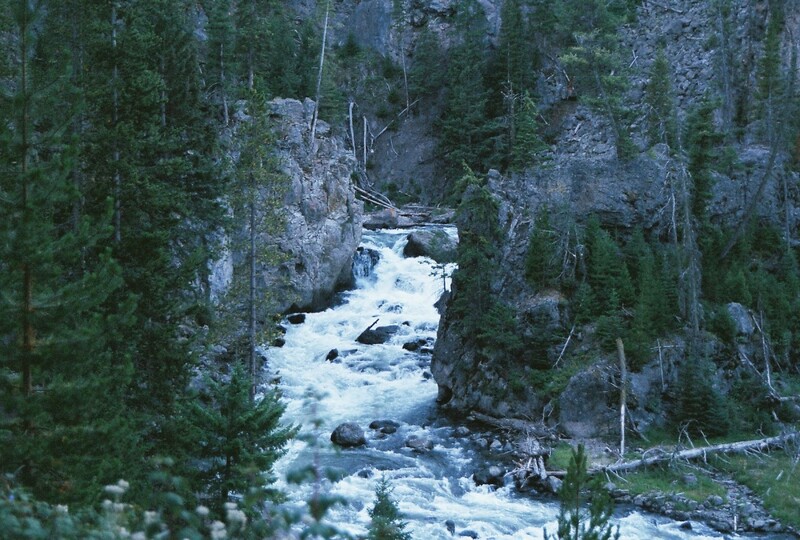 The Madison river and the Yellowstone both offer excellent fishing opportunities. You can find tackle shops near both rivers that offer rods, poles, line, sinkers, hooks, flies and bait. Pick your method and begin the fun! We are wild, natural and full of adventure. Get away from the bustling city life and escape to the snow covered mountains and flowing rivers in Montana. Come in the summer for fishing, hunting and camping. Come in the winter for skiing, sledding and ice fishing. We have everything, except overcrowded interstates and smog. Why is Montana so amazing? Glad to hear it! Its lovely here. There's so much to see and experience that you can't get a lot of places. I would love to go to Montana. I live next to it but have never been there. With the requirement of a passport to travel into the US from Canada now, it makes it more difficult. A passport is on my list of To-Do's this year. What part did you live in? I'm from the Bozeman area. I love it here. I just came back from living in Montana for 2 years. In South Carolina now. I love the Rocky Mountain states. And I lived in Colorado for a short time many years ago. Unfortunately, I've only driven through your fair state. Great hub. Awesome pictures. Voted up and beautiful. When my brother lived in Oregon, he sent me a card from the Blaine Society. Their purpose is to discourage people who want to move to Oregon. The front of the card shows a picture of a man holding an umbrella. The caption: In Oregon, it rains 300 days a year. You open the card, and there's a picture of a man bundled up, shivering from the cold, while snow is falling. The caption: And the rest of the time, it snows. On the next page, the caption reads: Visit beautiful Montana! Thank you so much for coming by. Votes are always appreciated! And it is beautiful here. I don't think ill ever move!